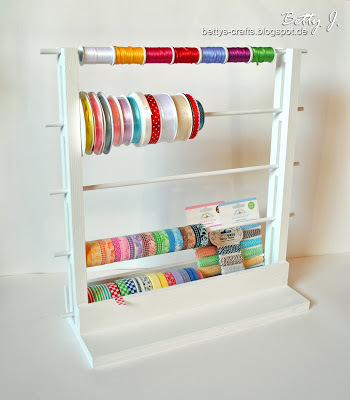 Any crafter needs a craft room for his or her creations to feel always inspired. 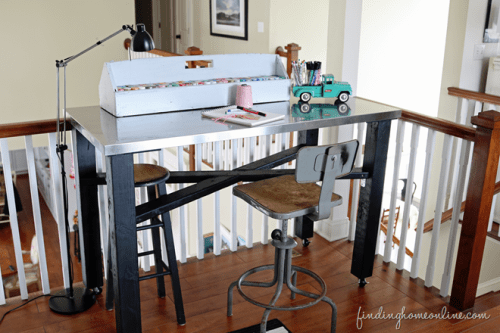 What does a crafter want? 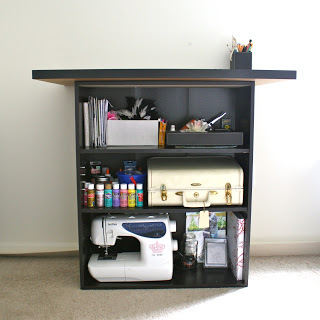 First of all, a craft table or a workbench. 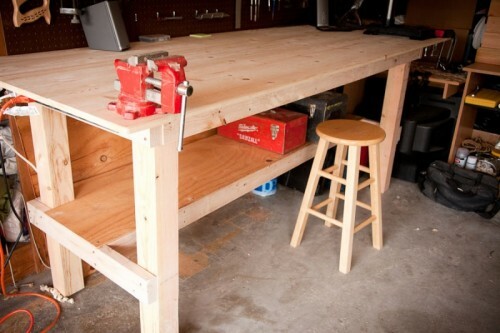 If you don’t have wood working skills, then you’ll have to ask somebody to help you to build it. 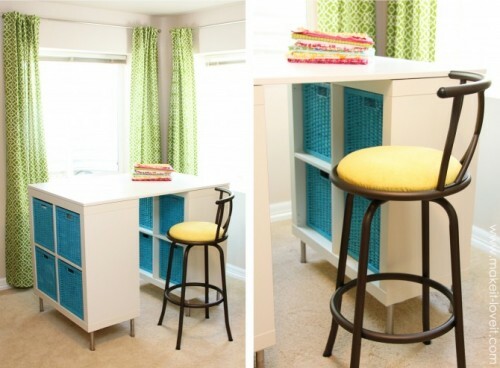 Or you may take a part of an old bookshelf and refashion it as you like. 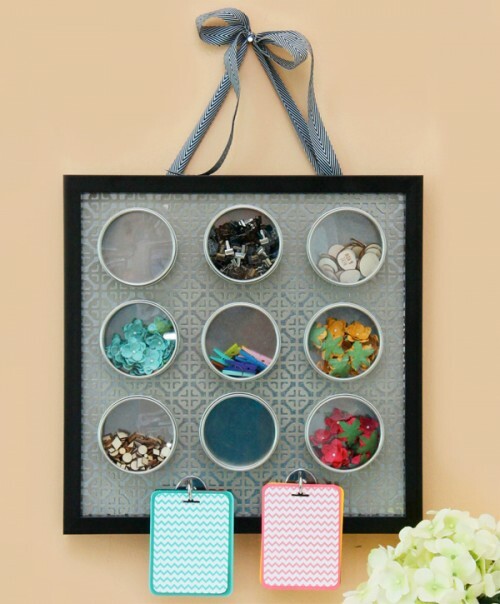 Now let’s organize all the stuff you use in your crafts, for example, ribbon, washi tape and embellishments, here a magnetic board is a cool idea. 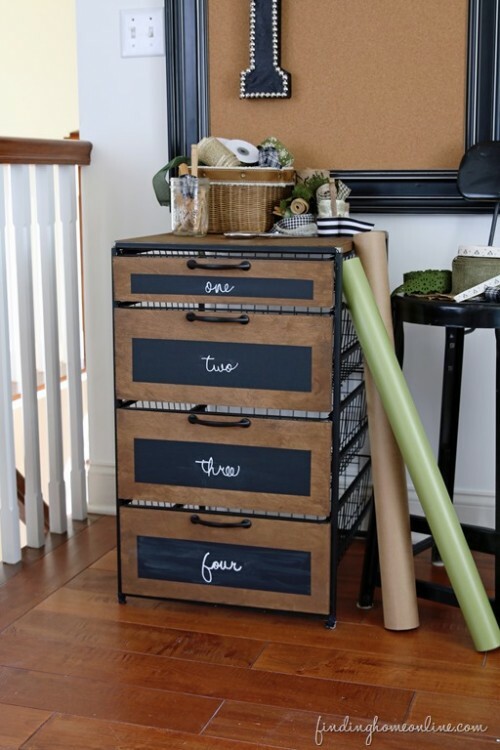 A storage cabinet is easy to make of an old cabinet – just don’t forget to make a chalkboard markers to chalk what you have in drawers. Look for more ideas below!